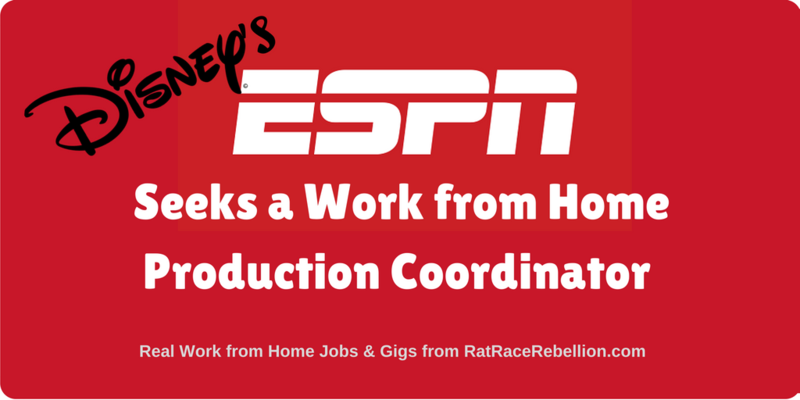 If you have a high school diploma and experience organizing remote events, you’ll want to check out this new work from home job at ESPN. 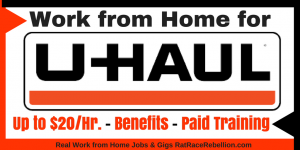 Hiring from any state except Hawaii and Alaska. Even if you’re not a die-hard sports fan, you’ve probably heard of ESPN or watched its shows. Its 65+ programs include Wimbledon tennis, films, NBA and NFL events, college sports, original series, and many more. 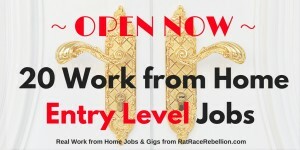 Get paid to read emails, play games, search the web. $5 signup bonus, at InboxDollars. It looks like a busy and exciting job. You’d be helping Talent, Producers and Directors. You’d be assisting the day-to-day operation of on-site productions, and assigned shows to support. You’d be the liaison between ESPN departments and crews. 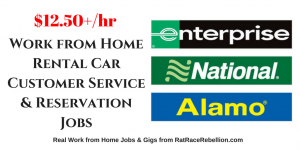 “This role is remote-based without a corporate office location.” There’ll be some travel, too. Pay isn’t quoted, but the average salary for this type of position is reportedly $56,000. This entry was posted in Work at Home Jobs and tagged ESPN. Bookmark the permalink.